This high-profile architecture project Bjarke Ingels Group consists of 624 plant-draped apartments plus shops, offices and a huge public courtyard. The project plans which were approved in September 2018, occupies a whooping area of 57,000 square metres. Eccentric monarchy is a common phenomenon around the world. But no one is as weird as King Toronto. He is green and drapes on himself an attire with wild plants all over. He is also made of pixels. Yes, he is the weirdest. Also, he is a building. This is the newest 'ruler' set to be built in Toronto's fashion district. This high-profile architecture project Bjarke Ingels Group consists of 624 plant-draped apartments plus shops, offices and a huge public courtyard. King Toronto is designed in such a way that the floors rise in sets of pixels arranged from the ground up. The building is situated at the meeting point of three neighbourhood parks and is built on a block that is also home to three heritage buildings. Each pixel is the size of a room and is rotated by 45 degrees from the street grid to increase exposure to light and air. The project plans which were approved in September 2018, occupies a whopping area of 57,000 square meters. 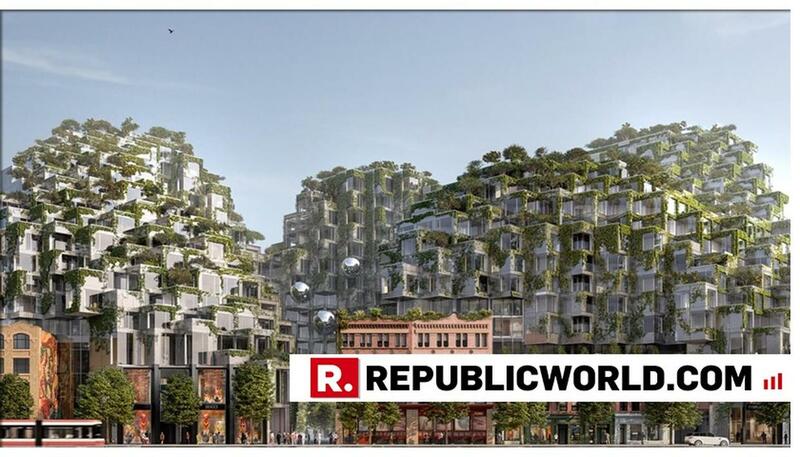 The Danish Architect Bjarke Ingles, whose vision is King Toronto has said he has tried to incorporate some of the best qualities of a suburban home into an urban high-rise building in an interview with an international news site. "With King Toronto, we wanted to find an alternative to the tower and podium you see a lot of in Toronto and revisit some of Israeli-Canadian architect Moshe Safdie's revolutionary ideas. It would be strange if one of the most diverse cities in the world had the most homogenous architecture", he said. 3. “I would want to make sure this building wasn’t just another big showy building but had substance. A city doesn’t want too many buildings like this. Just one."